Home Asian Countries Myanmar The U Bein Bridge, The Longest Teak Bridge in The Whole World! 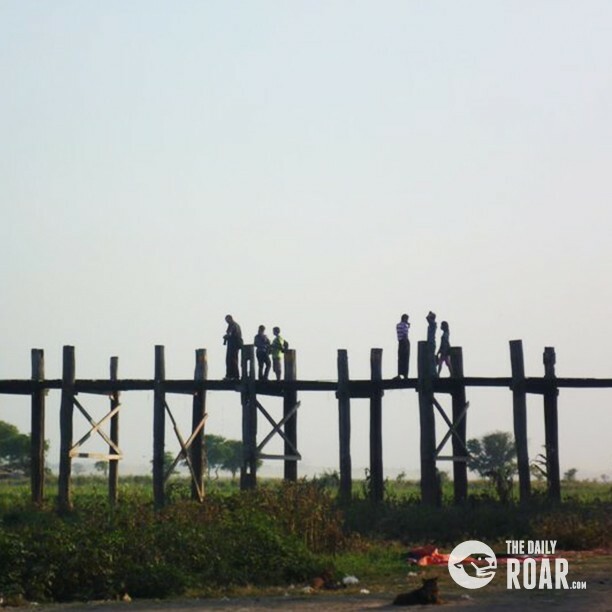 The U Bein Bridge, The Longest Teak Bridge in The Whole World! 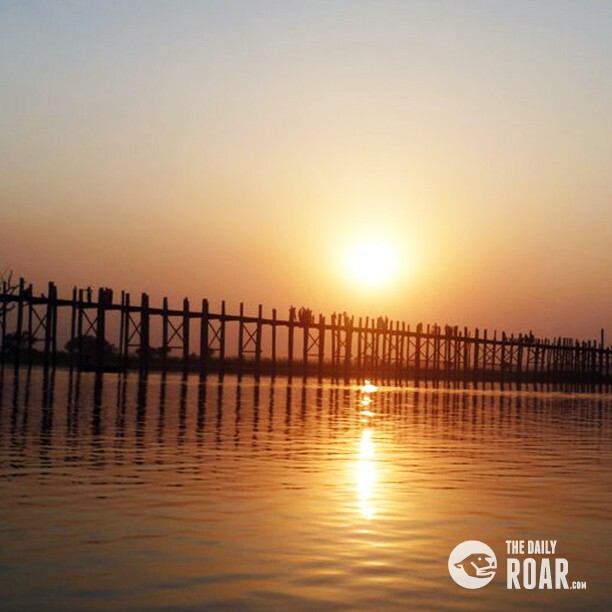 A popular sight on the outskirts of Mandalay, the long U Bein Bridge is the longest teak bridge in the whole world! 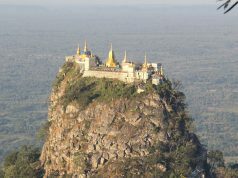 Okay, that’s probably not enough alone to make you want to visit it, but it is a really magnificent sight. 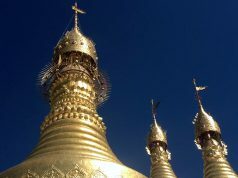 Stretching for 1.2 kilometres across the glistening Taungthaman Lake, it connects one side of the lake to the old capital of Amarapura. It was built using wood from the old Royal Palace– when the capital city was moved a bridge was needed, so what better way to make one than by pulling down the old palace?! It was named after the mayor at the time that instigated the project. Today it is both an important crossing for local people and a popular tourist attraction. There are lots of souvenir sellers! People stroll and cycle across the bridge, and there may even be a motorbike or two! It is also possible to take a boat trip across the lake, to admire the bridge from underneath and alongside. You may also spot children splashing and swimming in the cool and refreshing waters. Monasteries either side mean that you will also likely see monks walking across the bridge, clad in their striking burgundy coloured robes. In the dry season when the water level of the lake is lower, buffalos graze on the lush grass underneath. The views are very pretty and you can visit the old Mon settlement, giving you not only nice views but the chance to see a different cultural group too. The sunset views are particularly magical, and numerous small boats wait to carry passengers across the lake to enjoy the views of the bridge silhouetted against the darkening sky. The sky changes through a wonderful range of colours, and the bridge casts beautiful shadows on the water. A top tip is to visit later on in the day and walk across the bridge then return by boat at sunset. Look for an old gnarled tree – it is surprisingly very photogenic with the sun behind it. There are plenty of restaurants and drinks vendors both sides of the bridge if you want something to eat or drink. To visit the bridge you will need to either arrange your own transport or join a tour. 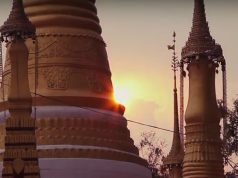 Tours that visit three old cities are popular – you can visit Amarapura, Inwa, and Sagaing all in the one day, and it is an easy trip to make from the fascinating and charming Burmese city of Mandalay.